1 YRS Yiwu Wellwin Trade Co., Ltd.
4. Q: When can I get the quotation9 A: We usually quote within 8 hours after we get your inquiry. 5. Q: Do you have MOQ9 A: Yes , but the price varies from quantity to quantity. 6. Q: What about the after-sale service9 A: Our staff are always here, ready to serve you. We have our own design department, heat transfer printing workshop , silk screen printing workshop, weaving workshop and packaging workshop. Our factory is good at design, research and development, manufacture and sale as a whole, for the partners to provide efficient and fast one-stop solution for enterprise. We have earned a good reputation for superior quality, stylish designs, excellent service and competitive prices. 1 YRS Yiwu Taoge Leather Co., Ltd.
Q4:Can you make sample according to my drawings or samples9 Yes,there is no problem of that,we have our own sample maker. Q6:How can you protect my designs and brands9 We won't display your designs and brands online or provide to others. Q7:How to order wholesale products9 You can order online and contact us to ship out the goods. 6 YRS Foshan Weisi Webbing Co., Ltd. Customized adjustable nylon camping belt with sewing assembly Product Name adjustable nylon camping belt Material Nylon/Polyester Width Customized Length Customzied length Style Buckle Tape Shape Feature Superior strength ,eco-friendly and durable Color Dye match panton color Applications Used in outdoors sport ,textile etc. MOQ 500PCS Delivery time About 15 -20 days, based on order quantity FOB price US$0.8-2 OEM Offered Packaging & Shipping Packing: 100pcs/opp polybag, out is carton, or as per customer's request. Delivery time: 10-15 days MORE PRODUCTS FOR YOU TO CHOOSE COMPANY SHOW FACTORY OVERVIEW CERTIFICATE OUR SERVICES We can provide: Quality guarantees with SGS test reports on request Oeko-Tex Standard 100 certification Short sample and production lead times Professional services Our products feature colorfastness and anti-UV and AZO free functions. 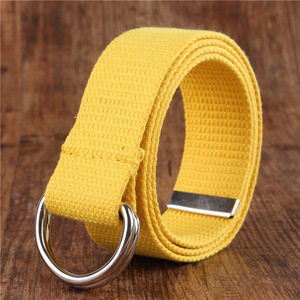 7 YRS Yiwu Wu Tai Belt Co., Ltd.
Alibaba.com offers 70,821 custom nylon belt products. About 6% of these are webbing, 4% are fabric belts. A wide variety of custom nylon belt options are available to you, such as polyester / nylon, 100% polyester, and spandex / nylon. You can also choose from printed, jacquard. As well as from eco-friendly, elastic. 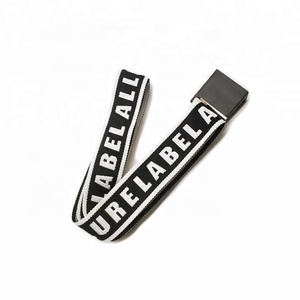 And whether custom nylon belt is bags, or garment. 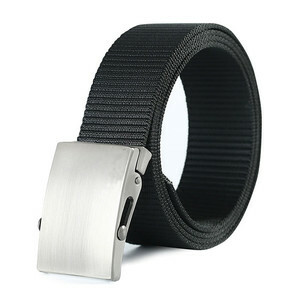 There are 70,821 custom nylon belt suppliers, mainly located in Asia. 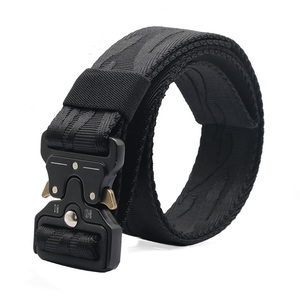 The top supplying country is China (Mainland), which supply 100% of custom nylon belt respectively. 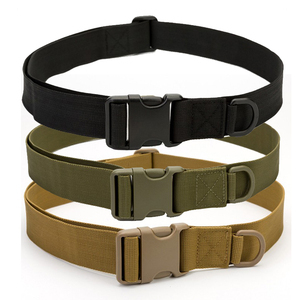 Custom nylon belt products are most popular in North America, Western Europe, and South America. You can ensure product safety by selecting from certified suppliers, including 18,015 with ISO9001, 7,255 with Other, and 6,516 with ISO13485 certification.